RUSSIA: Five-time world chess champion Viswanathan Anand sealed the Candidates tournament title with an effortless draw with Peter Svidler of Russia in the 14th and final round on Sunday. Having won one of the strongest tournaments of recent times with one round to spare, Anand just didn't want anything to go wrong and went for the draw with white pieces that was for the taking. The Indian ace thus officially earned the right to a rematch with Magnus Carlsen of Norway along with the winner's purse of 13,5000 Euros (a little over Rs one crore). The last day provided mixed games. Shakhriyar Mamedyarov also played out a quick draw as white against Vladimir Kramnik while Veselin Topalov's bid to come out of the last place was foiled by Russian Dmitry Andreikin. Sergey Karjakin of Russia was the lone winner in the day at the expense of out-of-form Levon Aronian of Armenia. Till the ninth round, Aronian was considered as the likely challenger but then things turned out really bad for the world number two here. Anand ended the tournament on 8.5 points, a full point ahead of Karjakin who finished a creditable second after a bad start. Kramnik, Andreikin and Mamedyarov finished joint third on seven points apiece while Aronian and Svidler ended joint sixth on 6.5 points in all. Topalov ended last scoring six in all. Playing the white side of a Marshall gambit out of a Ruy Lopez opening, Anand simply gave no chances to Svidler. The pieces got exchanged at regular intervals as Svidler also could do little and in almost no time the players found themselves in a drawn minor piece endgame. The game lasted 34 moves. As if taking a cue from Anand, Mamedyarov also wasted no time in taking the half point from Kramnik. For the records, it was the Capablance variation of the Nimzo Indian defense that Kramnik was well prepared in and Mamedyarov got nothing in the queen-less middle game that ensued. The Azeri decided to go for mass exchanges and had a dead-drawn position on board by move 30 in a Bishop and pawns endgame. The draw was a just result. Veselin Topalov tried putting in some pressure on Dmitry Andreikin but the Russian who has shown tremendous determination throughout this event despite being the lowest ranked, did not budge. Topalov went for the closed Ruy Lopez when offered to play against the Berlin and got a complicated position in the middle game. 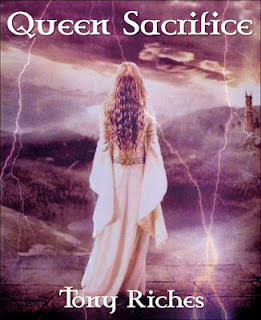 Andreikin found his defense in form of a pawn sacrifice that relieved him of tention as the queens got traded. The extra pawn was only an optical advantage as Topalov learnt and after trying out for 69 moves agreed for the drawn result. Karjakin played a patient game with black pieces. Aronian went for the Closed Sicilian and the players were in unchartered territory pretty early in the opening. Marshalling his forces on the king side, Karjakin damaged Aronian's pawn structure and waited for the opportunity that came very late. 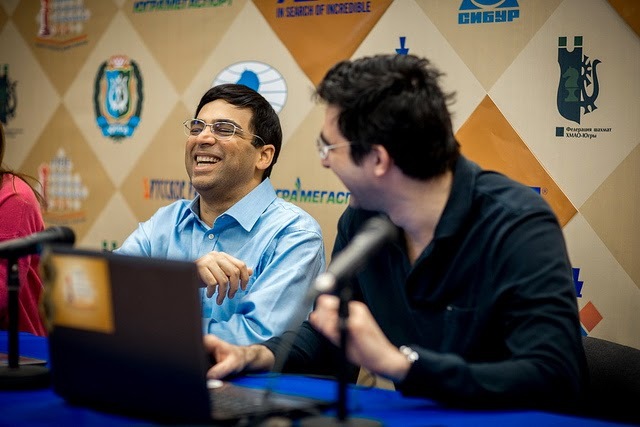 Results final round: V Anand (Ind, 8.5) drew with Peter Svidler (Rus, 6.5); Shakhriyar Mamedyarov (Aze, 7) drew with Vladimir Kramnik (Rus, 7); Veselin Topalov (6) drew with Dmitry Andreikin (7); Levon Aronian (Arm, 6.5) lost to Sergey Karjakin (Rus, 7.5). 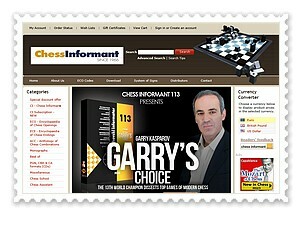 World Chess Candidates Victory: Anand gets 1 crore, Critics get Zero! Khanty Mansiysk, Russia: Five-time world chess champion Viswanathan Anand proved all his critics wrong and won the Candidates Chess tournament after settling for a draw with Sergey Karjakin of Russia in the 13th and penultimate round here today. 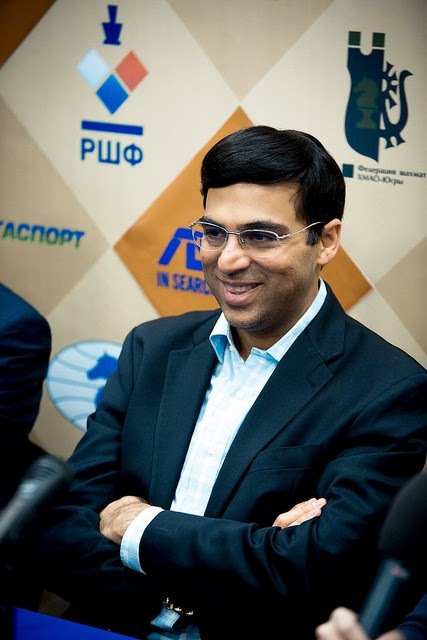 It was a marathon against Karjakin and the rest day did Anand a world of good. The Indian held on to his own in the endgame that lasted more than five and a half hours. 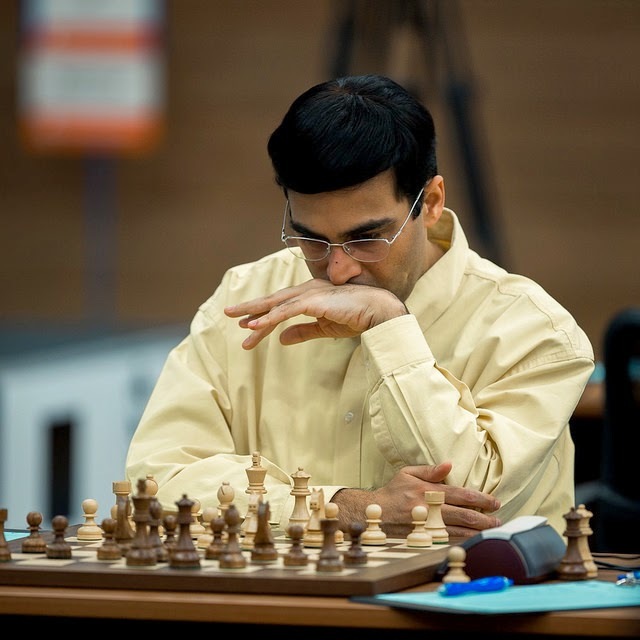 The draw helped Anand reach eight points and he benefited from the biggest upset in the tournament when top seed Levon Aronian of Armenia lost to lowest ranked Dmitry Andreikin of Russia. 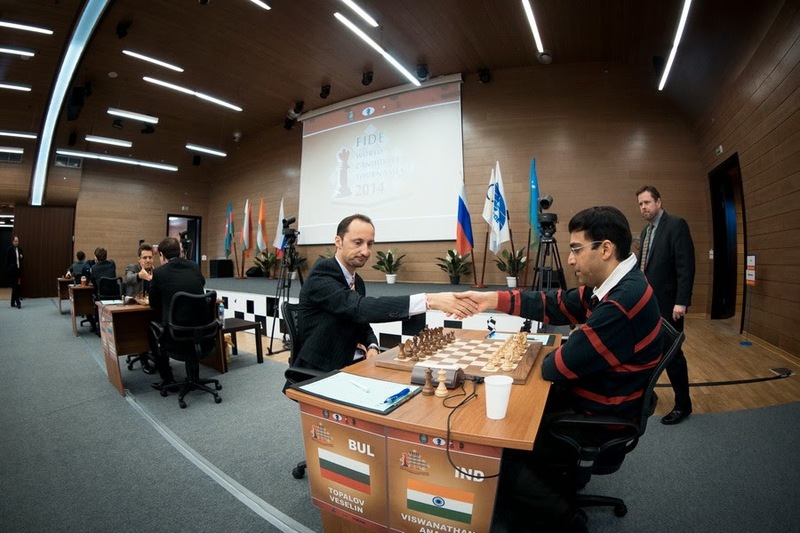 On a day that saw Vladimir Kramnik avenging his earlier loss in the tournament against Veselin Topalov of Bulgaria, Shakhriyar Mamedyarov of Azerbaijan played out a draw with Russian Peter Svidler to seal the fate in Anand's favour irrespective of the results tomorrow. 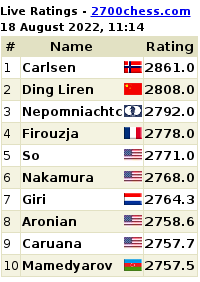 With Anand on eight points, Karjakin, Kramnik, Mamedyarov, Andreikin and Aronian are now 6.5 points each. Peter Svidler stand seventh on six points while Topalov reamined on 5.5 to fill the last place. In the last round Anand meets Svidler and the draw could be a likely result as the Indian will play with white pieces. In the game against Karjakin, Anand equalised quite easily with the Queen's gambit declined and had no troubles whatsoever in finding a thematic pawn sacrifice that made his position easier to play. However, while trying to work out the right path, Anand erred slightly and faced a difficult but possible defense when he parted with two pieces for Karjakin's rook. The ensuing endgame was easier for Karjakin and the defense was not easy, yet Anand kept finding the right moves and obtained a passed pawn on the king side that proved vital. Karjakin was aware at this point that the fight was over but he played on till 91 moves before signing the peace treaty. Khanty Mansiysk Chess Candidates: Flight Anand Ready to Land Safely! 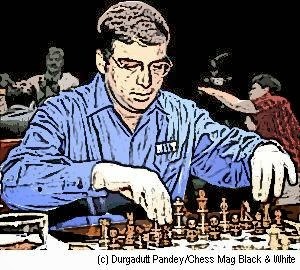 Friday March 28, 2014, Khanty Mansiysk (Russia): As he approaches the big game against Russia’s Sergey Karjakin, five-time world chess champion Viswanathan Anand would aim to carry forward his good from into the crucial 13th and penultimate round of the Candidates Chess tournament, here tomorrow. The oldest competitor in the fray, Anand has thus far outlasted everyone else. The Indian’s tryst with destiny to win the Candidates and earn the right to challenge tormentor Magnus Carlsen is well on track.And Karjakin is one last hurdle that Anand faces with black pieces before he has a white game against Peter Svidler of Russia in the final round. 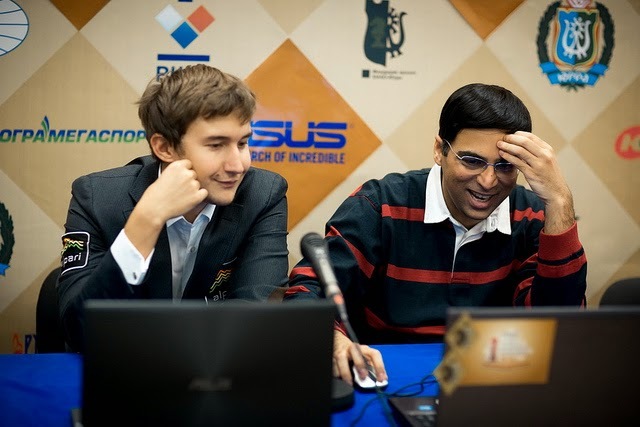 With 7.5 points in his bag from the first 12-rounds of this double round robin event, Anand has a full point lead over top seed Levon Aronian of Armenia who has 6.5 points.Karjakin and Shakhriyar Mamedyarov of Azerbaijan are the other two in contention with six points each while the other four players – Russian trio of Vladimir Kramnik, Dmitry Andreikin and Svidler and Veselin Topalov of Bulgaria have an identical 5.5 points.The one point lead for Anand is effectively 1.5 points lead as he beat Aronian 1.5-0.5 in their personal encounter. The tournament rules specify that in case of a tie for the top spot, the personal encounter between the tied players will be the first consideration to resolve the tie.And since Anand beat Aronian, it is clear that the Armenian will have to score half a point more than Anand if he has to win the tournament. 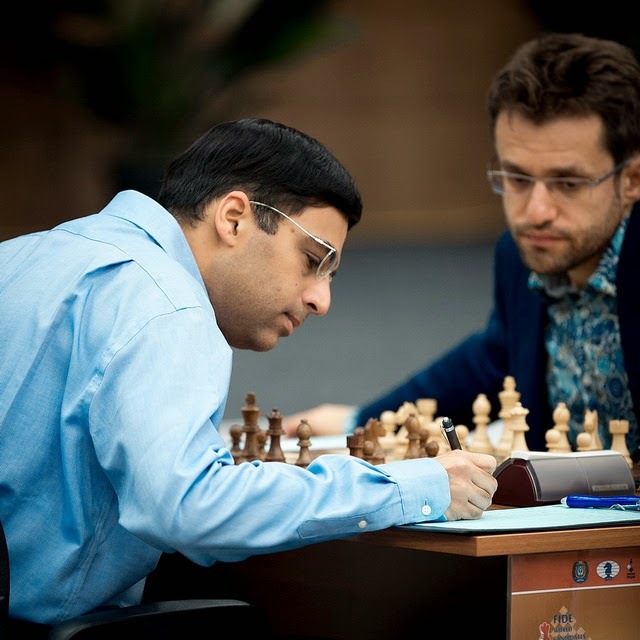 Matching Anand on points is not an option for Aronian.In the scenario, one point from the remaining two games will be enough for Anand to secure the tournament victory even if Aronian wins the last two rounds. The Armenian has a black game against Dmitry Andreikin before he plays his last game against Karjakin.